EDITOR'S NOTE: Media Esser, NNP-BC, APNP, CWN, serves as a neonatal nurse practitioner in a level IV NICU caring for infants with acute illnesses, including congenital birth defects, drug exposure in utero, respiratory failure and prematurity. In 2012 and 2013, she was nominated for the Nurse Excellence Award at Children’s Hospital of Wisconsin, the Stony Brook University 40 under 40 in 2017, and she has also served as president of the Southern Wisconsin Chapter of the National Association of Neonatal Nurses. She has a strong research interest in improving the skin health of infants in the NICU and has done a lot of work around improving the care of diaper dermatitis in the NICU. Esser is part of the Huggies® Nursing Advisory Council, a multidisciplinary group of experts in neonatal care that work together to identify gaps in understanding and resources about developmental care in the context of diapering, especially for preterm infants. Diaper dermatitis involves the uppermost layer of the epidermis, the stratum corneum, and develops as a result of the occlusion and overhydration of diapered skin. The overhydration of the skin promotes the development of an increased skin pH. Enzymes in stool include proteases and lipase, and these increase in activity when the pH rises in response to the overhydration of the diapered skin. In addition, mechanical friction from the diaper and possible skin wiping exacerbate skin irritation and result in skin breakdown. Diaper dermatitis is an umbrella term for a number of inflammatory skin conditions that can occur in the diaper area, but the two main types I see in my NICU practice and research are irritant-associated dermatitis and Candida diaper dermatitis. IAD is the most common type and normally presents with poorly demarcated erythema that is occasionally associated with papules, vesicles and erosion. The groin folds are typically spared. Candida diaper dermatitis is the result of an overproduction of Candida fungus from normal skin flora and may develop from prolonged irritant-associated diaper dermatitis. Diaper dermatitis is classified as mild, moderate or severe depending on the amount of skin affected and the degree of inflammation observed. Classification of diaper dermatitis has been subjective and very few organizations use an assessment tool to clearly define the severity of the condition. Care can be more accurately dictated based on detailed and objective assessments of injured skin, but there is a limited selection of assessment tools available. Utilizing an assessment tool to determine the severity of dermatitis and proper product use could provide more consistency in care for patients and potentially reduce costs. Due to new research and technologies, we have been able to enhance treatment strategies and improve outcomes for the 517,443 babies born prematurely each year in the U.S. While this momentum is impressive, there are a host of health issues that nurses in the NICU are tackling every day to further this metric and help ensure infants are not only surviving, but thriving. Diaper dermatitis, or diaper rash, is one of the most common skin disorders among infants. Due to inconsistent measurement and lack of reporting, data on the exact rate of diaper dermatitis in the NICU are limited; however, a quality improvement project done in a large children’s hospital demonstrated a diaper dermatitis rate of 29% among all skin disorders that occurred. Another study done in a NICU in Spain uncovered a rate of 22%. More research needs to be done to examine the severity and prevalence of diaper dermatitis in NICU patients. Hospitalized infants, including preterm infants, are at an increased risk of experiencing diaper dermatitis because their skin is not yet fully developed, as well as due to other factors related to their NICU stay. Infants in the NICU require extensive care including proper skin care and management. Diaper dermatitis can lead to increased medical costs for caregivers and pain, risk for infection and distress for NICU patients. Diapering may seem routine, but it is an important part of the care we provide patients. Its effective practice can impact the health and development of infants, especially those in the NICU. Implementing and promoting the use of a diaper dermatitis care plan or algorithm may be beneficial in the treatment of this common and frustrating skin issue. Prevention: Every infant that is admitted to the NICU should have some type of petrolatum ointment applied to their diaper area. Barrier: Apply barrier cream for infants that begin to develop redness of the diaper area. Application should be thick and occur with each diaper change. Cleansing: Gently cleanse the diaper area at least once a day to assess the skin. 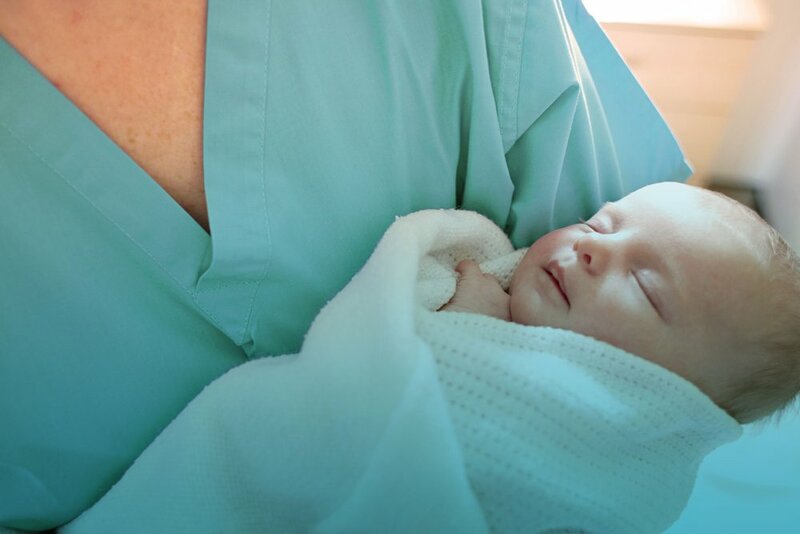 The AWHONN Evidence-Based Practice Guideline for Neonatal Skin suggests the use of methods, such as the use of a properly formulated disposable diaper wipe, to clean the diaper area and maintain optimal skin environment in the perineal area. Diaper: Contain the stool and urine by using diapers; super absorbent diapers have been shown to be beneficial in decreasing the risk of diaper dermatitis. Educate: Provide parents with targeted education for assessment of diaper area, diaper hygiene and good skin practices. If you would like to learn more about the importance of developmental diapering and diaper dermatitis, go to HuggiesHealthcare.com and download “Every Change Matters™: A Guide to Developmental Diapering Care” or visit Huggies' Clinical Insights & Resources page.